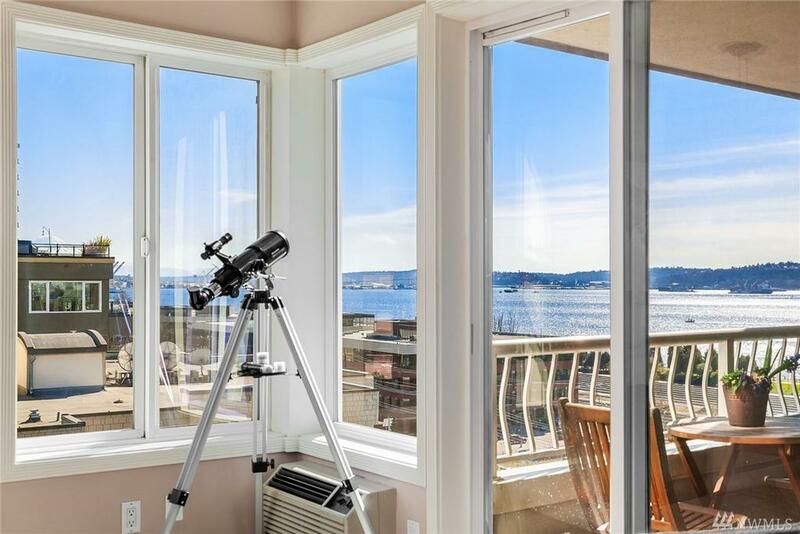 Incredible light filled top floor penthouse condo in The Grande on Queen Anne w/no shared walls! Spectacular views of the Puget Sound, Mt. Rainier, & Space Needle! Walk/Bike to Seattle Center, amenities, parks, trails, Amazon, SLU, & The Bill & Melinda Gates Foundation. Spacious gourmet kitchen w/large breakfast bar, master bed w/private bath & walk-in closet, 2nd bedroom & spacious living/dining w/gas fireplace. Two decks, two garage parking spaces, & storage! Great building & location!